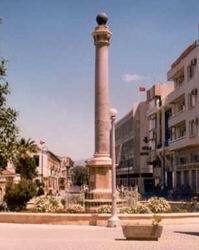 Lefkosia is the capital of Cyprus, a status it has enjoyed since the 10th century, though its origins date back to the Bronze Age. In the ancient years and during the first christian years, it was called Ledra but was then renamed as Lefkosia - most likely linked to the popular tree, the tall 'Lefki' which once adorned the city. It is the Seat of Government, Diplomatic headquaters and cultural centre of Cyprus. Within the powerful Venetian walls - over 400 years old - is the old, original part of the city. The old town is divided by the so called "green line", seperating it from the Turkish occupied part. Surrounding the walls is the busy modern metropolis, which has a population of about 171'000 together with the suburbs. Here in this elegant modern city, hotels, offices, restaurants and gardens blend happily with the fine old houses and colonial buildings. 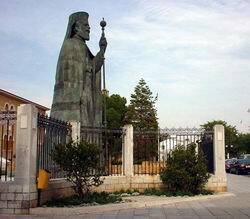 The old and new Lefkosia are linked through the central Eleftheria Square. Start your visit with a stroll at "Laiki Yitonia". It is a restored pedestrian area within the walled city, east of Eleftheria Square. It is filled with charming, winding alleys with traditional houses that function today as strores. Nearby is the Leventis Municipal Museum, as well as the Cyprus Jewellers Museum. Pass from the Ammochostos Gate, one of the three Venetian gates, functioning today as a Municipal Cultural Centre. At the Achbishopric, visit two museums: the Byzantine Museum, the Folk Art Museum and within the same area the Agios Ioannis Cathedral (St. JohnsCathedral) built 1662. Interesting to see is thy Cyprus Museum and the National Struggle Museum. The House of Dragoman Hatzigeorgakis Kornesios is now the Ethnological Museum. 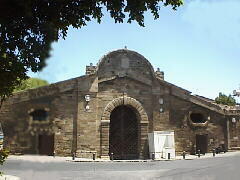 Originally a Venetian building, it is probably the most important 18th century building in Lefkosia. Last but not least, light a candle at Chrysaliniotissa Church, the oldest Byzantine churche in Lefkosia, dedicated to 'Our Lady of the Ciolden Flax' and belived to have been built in 1450 by Queen Helena Palaeologos.